Today we’ll show you how to patch vCenter Server Appliance (VCSA) from Offline Depot. As you might notice, a new version of VCSA 6.5a has been released, as well as ESXi 6.5a, supporting VMware NSX 6.3. The VCSA 6.5 become more attractive when it comes built-in features. We have detailed the deployment and setup, built-in HA protection test or a migration from Windows based vCenter. So VMware is giving a clear signal – VCSA is the way moving forward. Especially when now owning the whole stack with Photon OS. Previously the VCSA was using Suse Linux Enterprise Server. So there will be more admins migrating their vCenters to the new VCSA 6.5 (Photon OS based) appliance during the months to come. 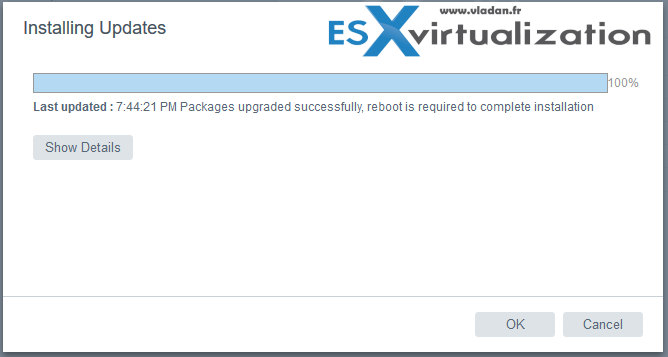 Not to forget that we now have built-in vSphere Update Manager (VUM) which enables us to patch ESXi hosts and VMs. Let’s get back to our post where we’ll learn How to patch VMware vCenter Server Appliance (VCSA) from Offline Depot. What we’ll actually do is that we will setup a temporary web server on a separate machine. This web server will serve the patches to our VCSA 6.5 appliance, so we will not import/copy anything inside of the appliance and the web server is portable so we do not have to install permanently on our management workstation if we do not want to. 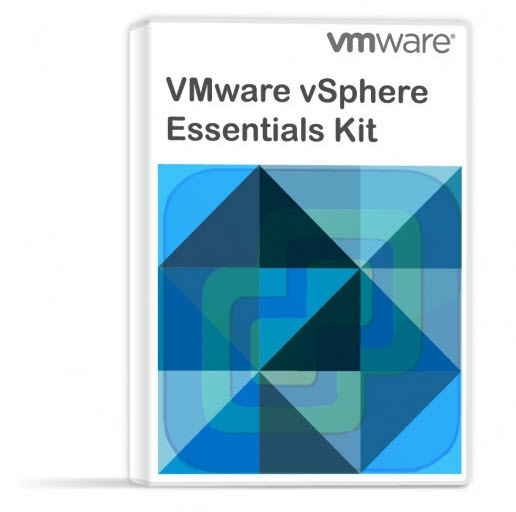 How to patch VMware vCenter Server Appliance (VCSA) from Offline Depot – The steps. Step 0: Download the vCenter Server Appliance patch ZIP file from the VMware Web site at https://my.vmware.com/web/vmware/downloads. The latest file (during the time of writing is called VMware-vCenter-Server-Appliance-6.5.0.5200-4944578-updaterepo.zip). Step 1: At first I tried with one portable web server and it did not work. I could not mount the repository. The error message was saying “The repository URL does not contain packagess belonging to this product”. After a quick question on Twitter, Ralf pointed me to HFS which just works. @vladan @VMware @emad_younis I used HFS as websrv adding the unpacked vc_update_repo folder. Auth: none. So I had to start again and go and download HFS first. 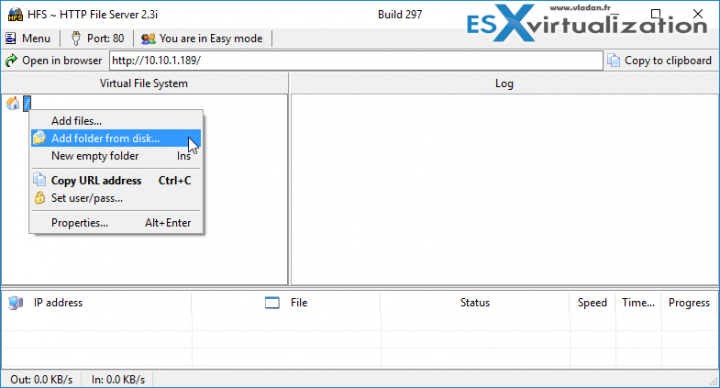 Step 2: Then extract the update zip file for VCSA 6.5 which you have downloaded from VMware. The file’s name, as mentioned higher, is VMware-vCenter-Server-Appliance-6.5.0.5200-4944578-updaterepo.zip. You should see all the rpm files in the package-pool folder there. 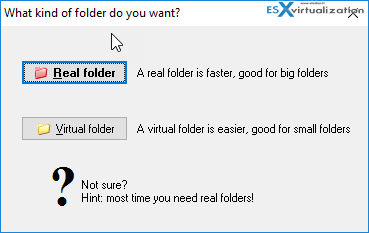 Start the web server and add the folder where you extracted the VMware repo ZIP file. Add this folder to the root directory. Then simply click the Install Updates button which gives you the option to install All updates. The process starts the updates and after few minutes you should see the final screen with successfull message. Reboot the VM to complete the installation process. After reboot you can check again against the software repo and you’ll see a message saying that the “Latest updates already installed on vCSA, nothing to stage/install. And you can check the Build number has changed. Hi Alex. Thanks for the comment. Yes, possibly any web server can do, but I wanted quick solution with “no install”…. Thank you for posting, this information is really helpful. In our case, we’re using external PSC’s not internal – how do we upgrade them? We’re currently at 6.0u2 (build 3634791) and are upgrading to 6.0u3b (build 5326079). Just point to the same .zip file as used to update the VCSA. Make sure to update the external PSC’s first! Thanks for your comment. Wasn’t able, due to time constraints, reply earlier. I see that you found your way. Have a great day. Thank you so much! I’ve been struggling with this update for a couple of days, and the install is finally in progress! Merci, -:) Oh, btw, I’m Vladan.